With the appearance of iPhone 7, the first thing after acquiring a new iPhone is to transfer data from the old one. 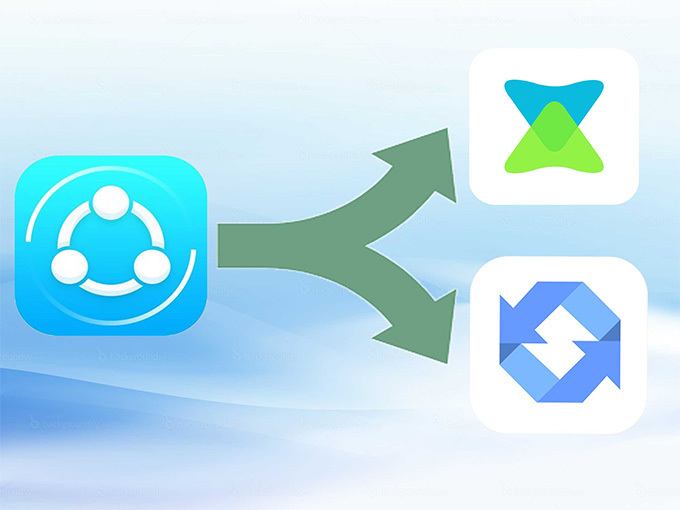 SHAREit is a popular program for this situation, which is specialized in syncing data between phones. However, there are still several unsatisfactory parts which need improving, including excessive advertisements and unsuccessful connection cases. 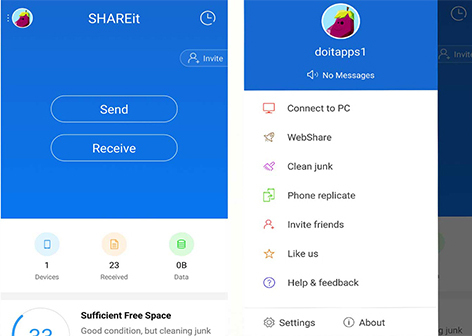 Meantime, some similar apps to SHAREit get rid of the irreverent information and facilitate the connection as well as delivery. This is a fantastic program featuring in syncing data such as music, videos and photos between phones regardless of model and carrier. Under the same network, users could scan the QR code or find the other device in Radar. This tool also works without networks: if both are iOS phones supporting AirDrop, turn on the Wi-Fi and connect in Radar; while if there is one Android-based phone or both, open a hotspot from only Android device and the other one clicks to connect. 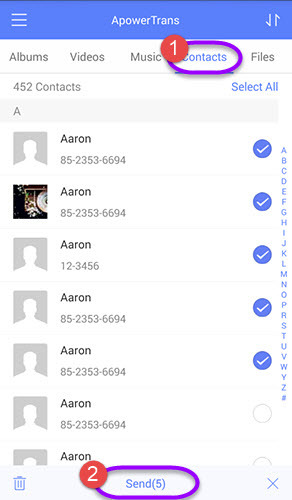 This app provides multiple approaches for connecting between two mobiles, making it suitable for different situations that mobile users confront with. Another advantage is that the tool comes with no ads during process, without anything that might distract your attention. So that’s why this program employs the simplest interface, on which only helpful functions exist. Security is guaranteed and data won’t be harmed. With fluent networks, it ensures a high transfer speed faster than Bluetooth even when syncing several GB files. Incidentally, backup is available in case of need. a. Install the program on your phone. Click the button below to enter into the Application Store. b. Activate the program in both phones. Slide to right and click on the small icon of QR code, use the other phone to scan it. Otherwise, you may try another way to connection, just click the icon in the lower right corner of main interface to find the other device in Radar. c. You will see categories displayed in terms of music, video, photo and other files. Select the wanted files in the check box and send. d. After successful delivery, click on the button in the upper right corner to verify and check the status or history of the transfer. With its simple operating performance and improvements in minor bugs which SHAREit has, Xender is also a popular alternative to SHAREit. 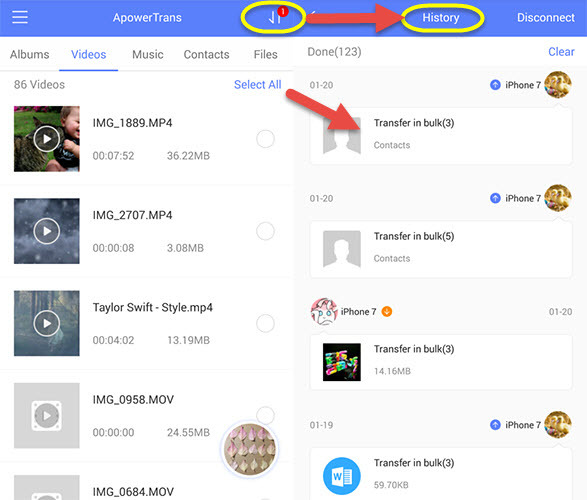 This program transfer data between phones easily and conveniently. It allows users to preview or delete photos directly. Meantime, music and videos can be played while the amount and attribution situations are displayed for users to check. But some restrictions in iOS system may not allow users to preview photos or delete. However, there are still some aspects unsatisfying enough. Ads still exist in the program which is really annoying. Though it claims it has expedited data transfer, the process still runs slowly when dealing with tons of files. 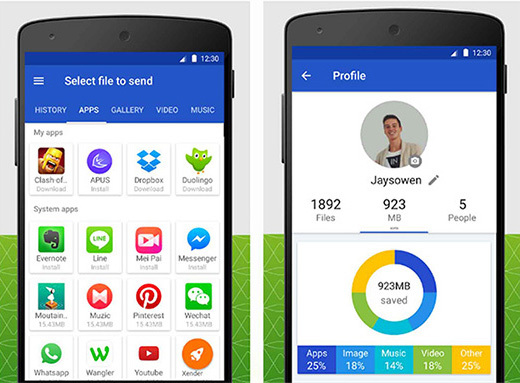 Nevertheless, Xender still improves some shortcomings of SHAREit, thus being one of best alternatives to SHAREit. It is necessary to dig out the differences of the above programs, which helps users to choose the one that suits them best. Analysis will be given below. ApowerTrans and Xender share the similar method of connection, but Xender is unable to scan the QR code. Simplex method of connection could only handle with specific situations, while ApowerTrans could also scan the QR code to finish the connection. What’s more, it is a bit complicated for users to connect in Xender, which reveals the difficulties in understanding guidance. Connection is the fundamental step, without which no next progress will be made. Both programs are compatible with almost all Android-based brands and iOS devices. 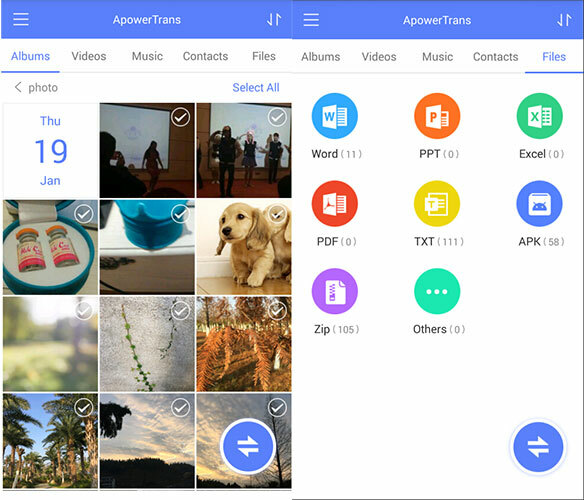 Xender could also handle with Windows devices while ApowerTrans hasn’t finished that part yet. Xender shares too much advertisement like apps and articles. The useless information certainly occupies part of interface so that it becomes harder for users to seek out the wanted files or operating buttons. While ApowerTrans promises to unload all widgets and advertisement so as to protect users’ data from malwares or waste messages. Trivial as it may seem, time saved could enhance the efficiency. To conclude, ApowerTrans outweighs Xender in connection and many other additional respects. Both share the similar functions. 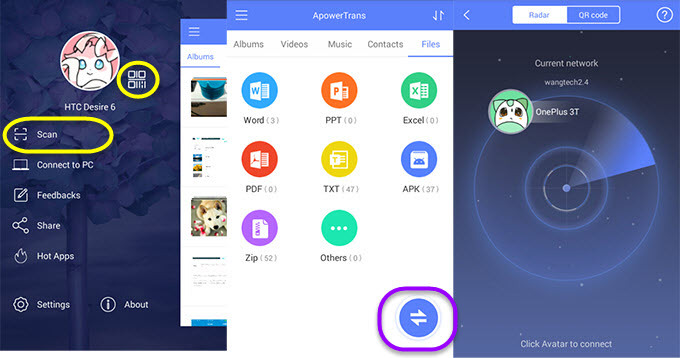 By contrast, it is not hard to find ApowerTrans exceeds more which turns out to be the best SHAREit alternative.